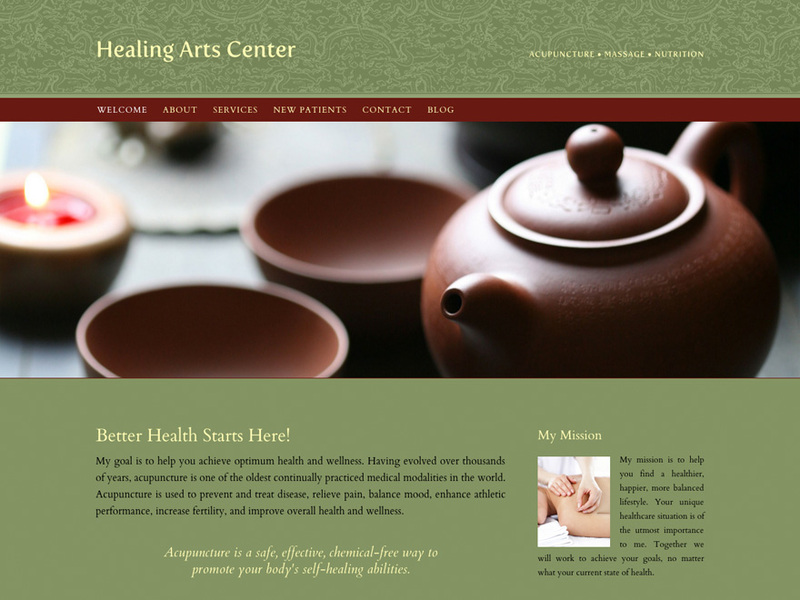 Create an elegant, customized website in minutes. 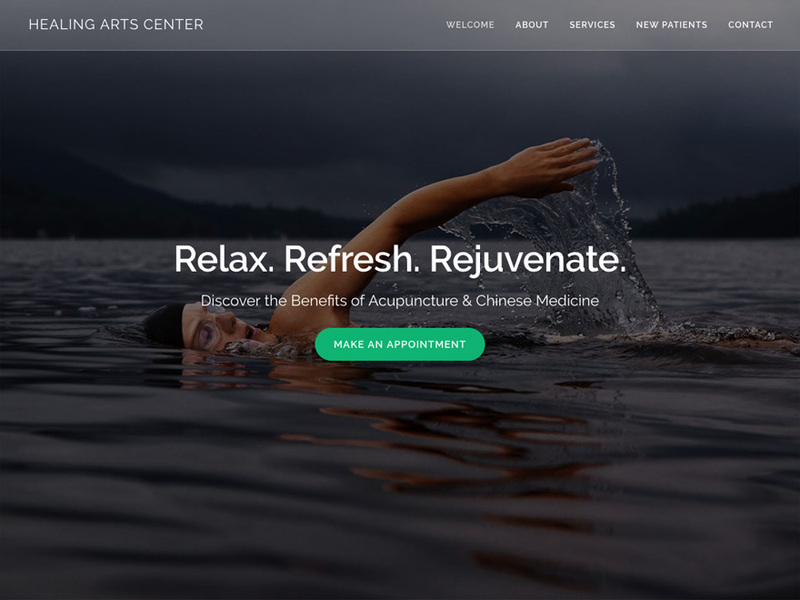 about starting an acupuncture practice!" Your website can be live in minutes. 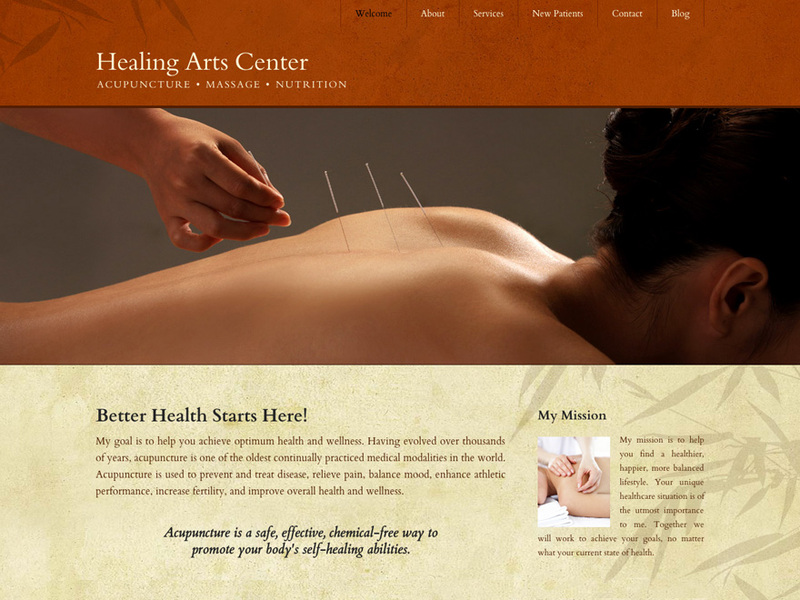 Save time with professionally written, editable acupuncture education materials. Edit text, change photos, create pages, add links, upload documents, and more. Customize your own SEO keywords or let our algorithm do it for you. Embed appointment widgets, analytics, maps, videos, and more. "I was completely overwhelmed... until I discovered QiSites." 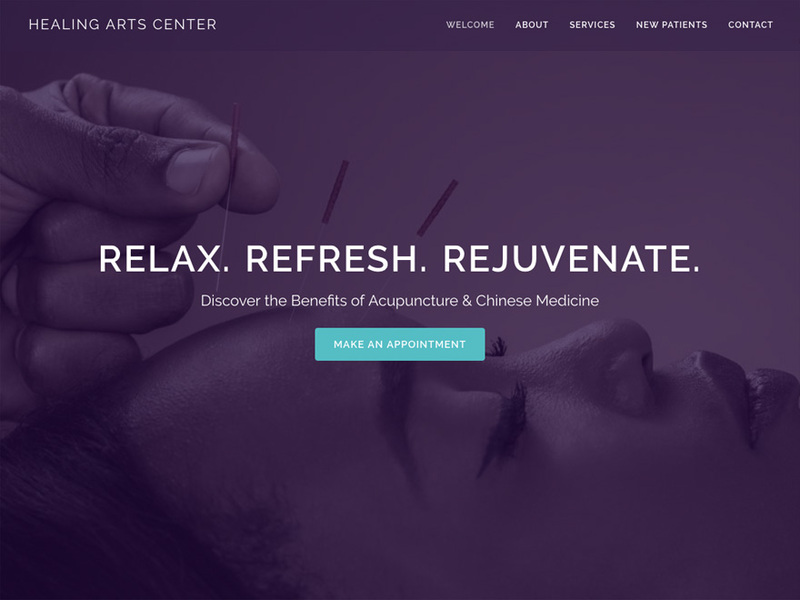 "I was completely overwhelmed with how to go about developing a website for my acupuncture practice until I discovered QiSites. I was so relieved to find it was everything I was looking for all in one place — beautiful site, easy set-up and navigation, as well as hosting. After signing up, I quickly discovered what I like best about QiSites — the amazing customer service. 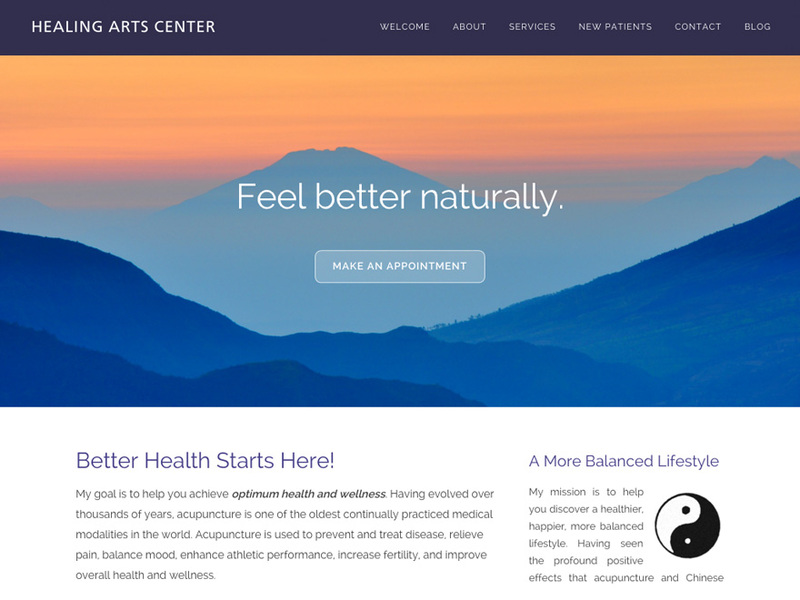 For anybody starting a new website, I highly recommend QiSites." Naomi Takata, M.Ac., Lic. Ac. "It's made a huge difference..."
"Love QiSites, it's made a huge difference since I started using it! I should have done this a year ago when I got my license. Silly me, I should have used QiSites from the beginning. Thanks again for your great service." Kim Drolet, L.Ac. "I considered several website template options before settling on QiSites. Going with QiSites is one of the best marketing decisions I made. Setting up the site was straightforward, even for a Luddite like myself. The on-line tutorials are all excellent. And you can't beat the price! Excellent service and support. I can't recommend QiSites highly enough." Robert P. Surabian, M.Ac., Lic. Ac. 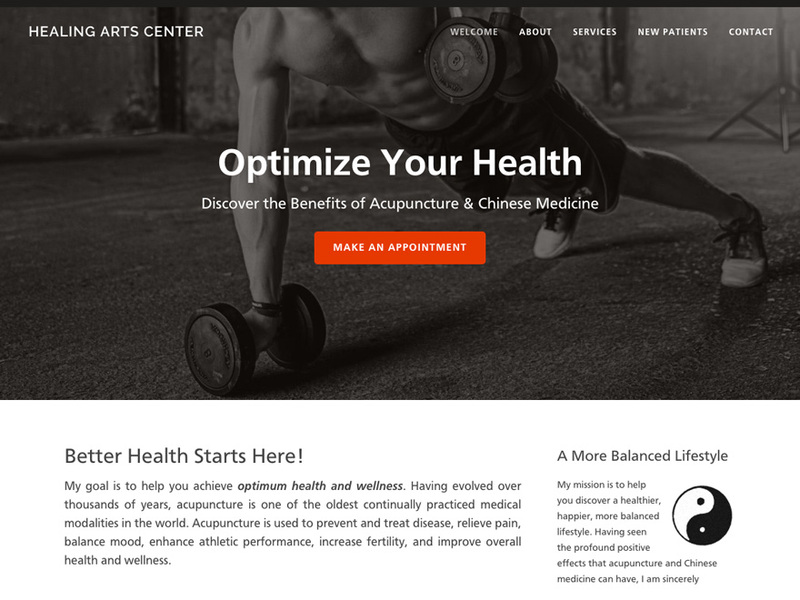 "...exactly what I needed while I started my practice..."
"Even if you have a website now you owe it to yourself to check out QiSites. I had a website for 8 years, but it was one that I couldn't change myself and it had become quite outdated. I decided to give QiSites a try and in a weekend had my new site up and running! The support I got from QiSites made the transition and re-routing of my URLs seamless. Since I am in control of the site I can add to it, change it, check my changes all in just a few minutes. I am thrilled with what I can do on this site and patient feedback has been fantastic." Marcia Mueller, L.Ac. "...I can easily update anytime I want..."
"QiSites is like a dream come true. In just a couple of days I made a beautiful, professional-looking site that I can easily update anytime I want. I noticed an increase in business almost immediately, and after viewing this upscale site, clients no longer question my fees. I especially love that clients can download their paperwork in advance. Customer support is great. QiSites is the best!" Margaret Steele, M.S., L.Ac. "...the best website program I've used..."
"QiSites is the best website program I've used in the past 20 years (I've used AOL, iWeb, Weebly, and Wordpress before). Users don't need coding experience. It's quick to design, things are laid out in a very thoughtful way, and whatever I post is immediate. I have already recommended the service to several professional friends and would continue to highly refer you." Katherine Kim, L.Ac.